Chrome postcard. 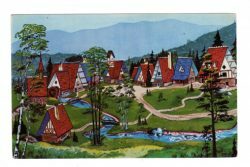 Bird’s eye view of Santa’s Village, Santa’s Workshop, North Pole, Whiteface Mt, New York. Chrome postcard. 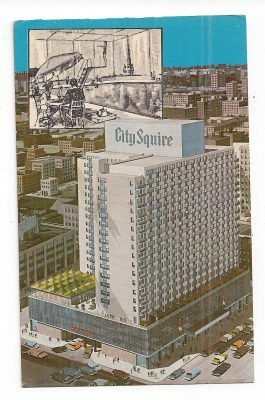 City Squire Motor Inn, Broadway, 51st-52nd Streets, New York City. Swimming pool. A Loew’s Hotel, Preston R Tisch, President. Chrome postcard. Formation ready to enter Chapel One at Sampson Air Force Base, Geneva, New York. 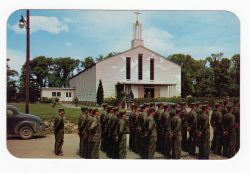 Soldiers, church. Chrome postcard. 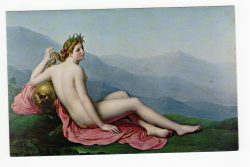 Girodet Trioson Printemps oil on canvas. Gregoire Galleries, New York City. Chrome Postcard. 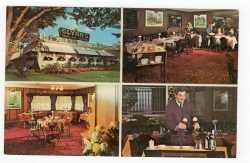 Glynn’s Inn, Huntington, Long Island, New York. Host Tom Milano. Dining Room. Chrome Postcard. Halloran’s Pumpkinville, Great Valley, New York. 1989. Chrome postcard. 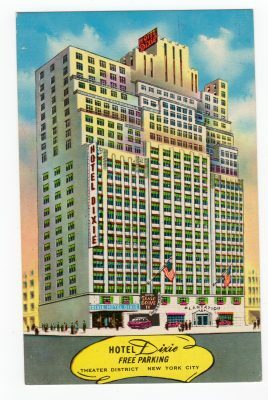 Hotel Dixie, 43rd St, West of Broadway, New York City. In the heart of the theater district. Chrome postcard. Lederle Laboratories Division, American Cyanamid Company, Pearl River, New York. 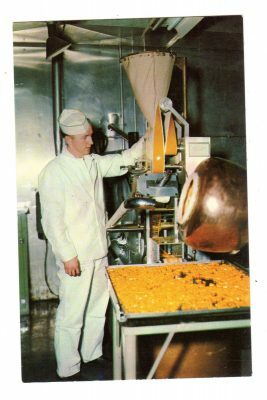 Accogel Encapsulation Machine. Chrome postcard. 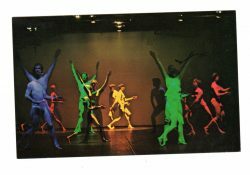 Mimi Garrard Dance Theatre, 151 Bank St, New York City. Chrome postcard. 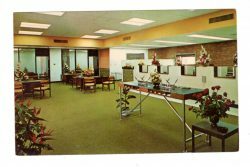 National Bank & Trust Company of Norwich, Sherburne, New York. Chrome postcard. New York Stock Exchange. 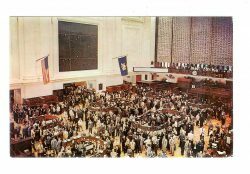 Trading Floor. 1958. Chrome postcard. 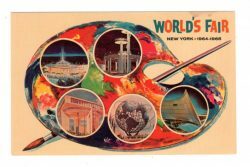 New York World’s Fair 1964-1965. Painters Palette.